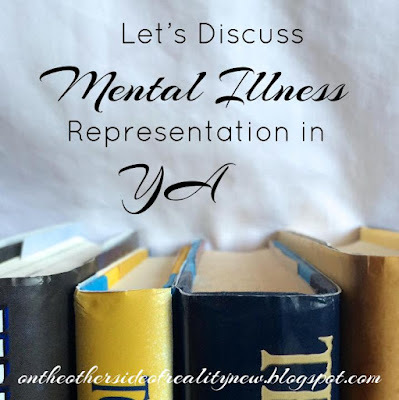 So, unless you live under a rock or something (although as a person who does sometimes live under a rock, I can testify it can actually be quite nice), you've probably noticed the growing amount of mental illness representation in YA. 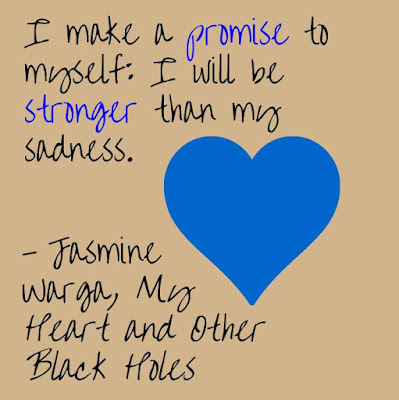 Now more than ever, books are dealing with depression, anxiety, and other issues. Is this recent trend really great, or does it have some bad parts to it? I enlisted the help of some of my fellow bloggers to discuss the different aspects of mental illness representation in YA and what they'd like to see more of in the future. Young Adult fiction has gotten way better over the past couple of years about mental illness, what with books like All the Bright Places, My Heart and Other Black Holes, Love Letters to the Dead, and Falling Into Place. And yet, it sometimes seems like depression is the only mental illness represented. Don't get me wrong, it's good that depression is being represented, but what about the other mental illnesses out there, that you have to struggle to find anything about? What about OCD, ADHD, Bipolar disorder, PTSD, and anxiety? I can think of three books that protray anxiety well. Three. And I can't speak for any of the others, here, but anxiety is horribly misrepresented. Anxiety is not all hyperventilating and running away. Anxiety is mostly strange, little things that can cause you to spiral into a panic attack, things as small as being in an elevator with a complete stranger. Finding Audrey was a horrible misrepresentation of social anxiety, Fangirl was a great one. Finally, there is one thing we need to stop, right away: the love cures mental illness thing. Finding a boyfriend or a girlfriend DOES NOT mean you get magically better. They can help, sure, but in the same way a best friend might be able to talk you down from a panic attack. To all writers of mental illness: do not do this. Readers have been calling for diverse books for a while-- for more LGBTQ+ focus, more POC (people of color) characters, more everything that is outside of the normal YA focus of white, prosperous, and straight. Mental illness is, to me, one of the most important things us readers have clamored for-- yet I can only really count on one hand the number of YA books I’ve read this year that deal with mental illnesses. LGBTQ+ focus has increased greatly over the years, and many authors of today are implementing more and more characters of different origins and races. But I feel like there are still so few mental illness books, and the ones that are out there, seem mostly to be hidden/don’t get the publicity that other YA books get. One of the books I read in May was A Court of Mist and Fury (Sarah J Maas), and it quickly became my all-time favorite book. Normally that wouldn’t mean much, because I’m a pretty devout Maas fan, but the thing about ACOMAF is that it’s different. It’s a fantasy book whose focus is primarily on PTSD and depression, and I’ve yet to read any other book that deals with mental illness like this book did. Majority of the books I’ve read that represent mental illness, represent it in a way where you almost can’t tell that the character has depression, anxiety, etc. They often make use of scenarios, or almost metaphorical styles of writing to portray that a character is suffering from an illness. (examples: We Are the Ants, A Monster Calls, ) And don’t get me wrong, this does work in some stories! But to me, it almost seems like YA authors don’t think us readers can handle mental illness looked at head-on, or that it’s a topic that needs to be skirted around. I want to know what a regular day is like for those who struggle with bulimia. I want to know how someone who struggles with a bipolar disorder feels. I want to be able to walk into a store and not have to spend hours combing through books online trying to find ones that focus on mental illness beforehand. I want to read books by authors who understand that the YA audience is an intelligent body of bright people, and authors who take the time to meticulously research what they're talking about. In A Court of Mist and Fury, nothing was sugar-coated, no topic was avoided. The issues that the main character dealt with were written in such a way that you understood her struggles and her pain, regardless of whether you'd dealt personally with similar things, or not. 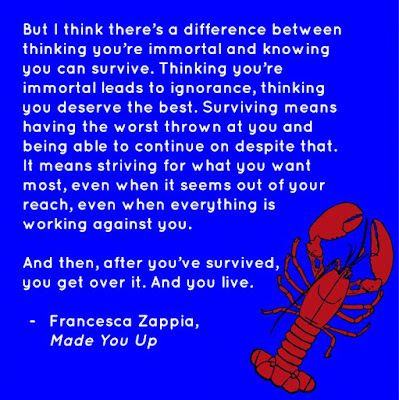 In my case, it hit pretty close to home, and it made me feel so much better, just to be able to relate to something at that time. It was vivid and it was real. And I feel like that's something we definitely need more of in YA. Mental illness in books is so much better represented now than it was a few years ago. I really love books like The Unlikely Hero of Room 13B by Teresa Toten and Are You Seeing Me? by Darren Groth. They represent mental illness in a way that makes it approachable, understandable and relatable. I’m excited to read more books like these in the future. At the same time, I think there’s still room for improvement. I want to see less books where characters are ‘cured’ at the end. Mental illness is not something you can cure, and I think books that show a character being ‘cured’ do real sufferers of mental illness a huge disservice. One of my sisters has bipolar disorder. For her, there isn’t a moment of ‘I’m all better now’. There are good times, and then there are low times. But there no time when they’re ‘cured’ in any real capacity. I want to see more realistic portrayals of life with a mental illness. Because those are powerful and wonderful and I want to hug them so hard. I’d also love to see more books containing characters who have mental illnesses, but that aren’t about mental illness. That’s not to say that we don’t need more books directly dealing with mental illness, because we definitely do. But at the same time, I’ve read very few books where a cast member has a mental illness, and it’s not a huge part of the plot. Where are the depressed characters on an epic quest? A great example of this done well is actually a British crime show called Whitechapel. The main character has OCD and struggles with it throughout the show. But it’s part of who he is, not what the show is about. And while it complicates matters, his OCD isn’t ever really a primary focus. I want more of these characters who live lives and have adventures, and also have some form of mental illness. Mental illness in YA means a lot to me as I suffer from a mental illness as well as many of my family members and a few of my friends do too. I like how authors are incorporating mental illness into their books, as I haven't seen it around much before late 2015. But to me, I don't see enough representation and not close to enough accurate representation. It is difficult to put mental illnesses into books without having a mental illness, but authors already do a lot of research for their books and I think that they could put forth the extra effort again. Of course there's hundreds of mental illnesses that haven't been put into YA, however as much as I'd like to see them represented, I don't think that authors will be able to represent them all. Some good ways to represent mental illness are by having select characters have a certain mental illness and showing how it can impact life and people around those characters and how it prevents people from doing day to day things. Bad representation can be romanticizing mental illnesses and/or making fun of them. Mental illnesses that are displayed inaccurately and are shown as what people commonly think they are like (like depression is mainly having suicidal thoughts is a common belief) is bad representation, authors can take the time to research and show mental illnesses as they really are. On the topic of trends, I’m very worried that mental health in YA is just another trend. Everybody’s writing a book about mental health, and then the next thing you know, it’ll be a thing of the past. It’s happened before, and it will happen again. Mental health, however, should be more than a trend. It’s something that is a reality for many, many people, and should always be talked about, and not shoved aside to make way for a new trend. If authors wrote more characters with mental health issues, and not more books about mental health, it’d preserve mental health in YA longer. Not to say books about mental health are bad or anything. They aren’t. But soon people will get bored of them (It’s baffling, but yes, people can grow tired of reading about real issues) and more onto the next ‘big thing’. Characters with mental health issues who star in a book that isn’t specifically about mental health would solve that problem. I’m not sure what a ‘good’ or ‘bad’ representation of mental health would be. I think it’s a very personal thing. For an instance, All The Bright Places (it’s mainly to do with bipolar) Now I know someone who has bipolar, and for me, it was a very real, accurate representation of what bipolar is. But other people don’t seem to agree. So as I said, it’s a very personal thing. 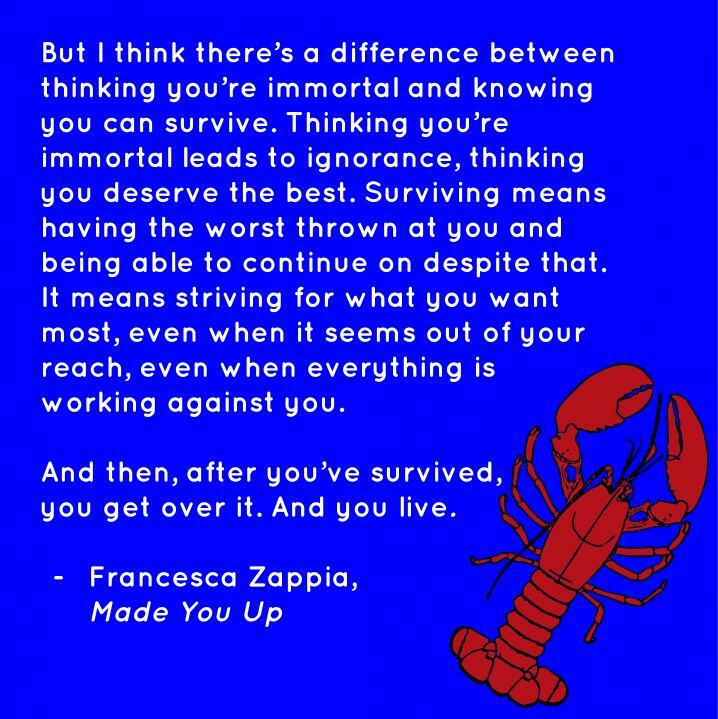 However, I would like to say, if you read a book about mental health, and you don’t like it, please be respectful if and when you do a review, because you never know, the author could be struggling with the same problems as the character in the book, or that someone she/he is close to is, and if you rant and rave about it, you are probably really, really hurting them. 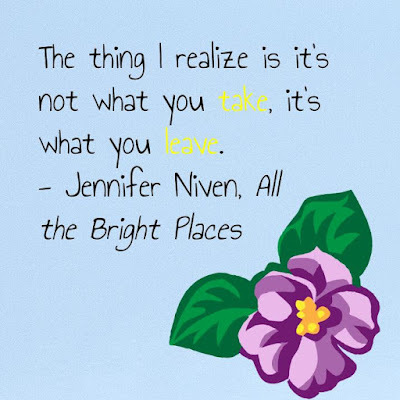 For example, All The Bright Places is based off of an experience Jennifer Niven had when she was a teenager. She loved a boy who had bipolar, and he ended up killing himself. She was the one who found him. Sounds pretty much the same as ATBP, eh? So why do people say she misrepresented bipolar? Every case is different, and she was telling a personal story. So yes, when reviewing a book on a sensitive topic, it’s in the best interests of all to remain respectful. One illness I’d like to see more of is schizophrenia. Now I understand that to do that properly would require a ton of research, but when you look at how many stories there are of mental health, and then look at the percentage of them that are about schizophrenia, it’s very saddening. I’ve only ever read one book with a main character who had it (the Masked Truth by Kelley Armstrong. It was very well done.) That’s something I’d like to see more of. Sound off in the comments! 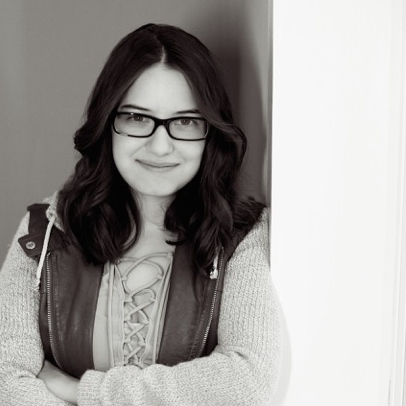 What do you think of mental illness representation in YA? Are there any illnesses you think should be represented more? And are there any examples of really good or bad representation that stand out to you? Comment below, and remember that you are all very beautiful pickles. Reading everyone's opinions was so interesting! Although I don't think Finding Audrey mis-represented anxiety. Every case is different, right? Anyways, thanks for letting me be a part of this! No problem! I was glad to have your help. personally, I love seeing books on mental illness. it can get annoying when its not treated in the right manner, but I love reading books about people who are like me. I love it when I can relate to a character in that way. I love it when they show characters like me; people with crippling anxiety or bad depression. I really do hate the "love cures all" thing. like....no. that one can go. 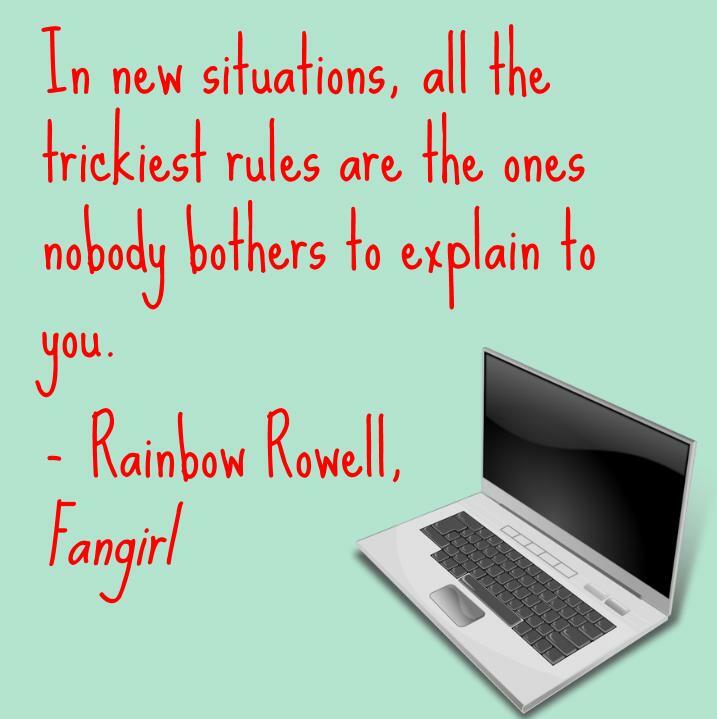 but as for books, I LOVED All The Bright Places. (LOVED.) 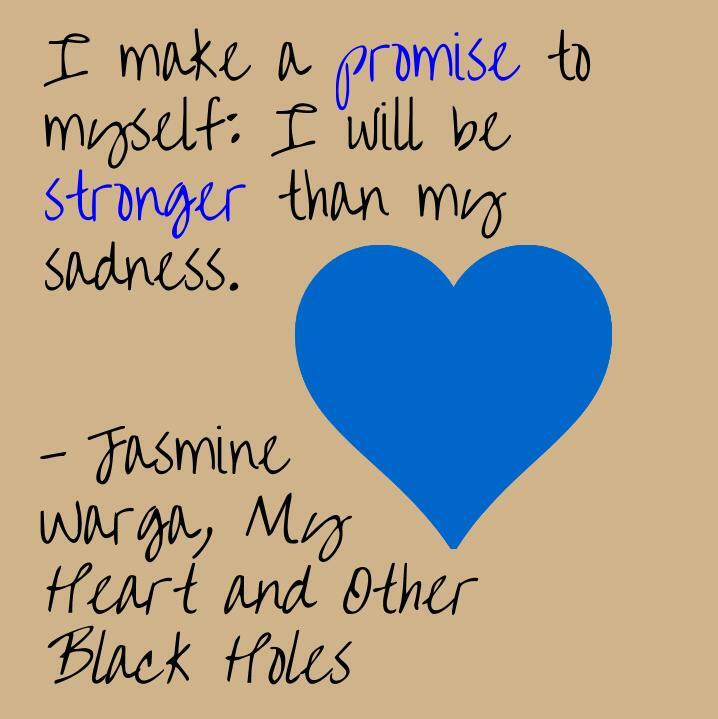 My Heart And Other Black Holes was alright. but my all time favorite (book about mental illness and book in general) is Its Kind Of A Funny Story. hands down the best book. I like swear by that book. lol. Challenger Deep was another INCREDIBLE one. I would highly recommend if you're searching for books on the topic. sorry for the long comment I just feel very strongly about this topic. lol. I could probably do a post about it myself. lol. I agree! Ugh, "love cures all" needs to be incinerated. It's romanticizing mental illness, which is definitely not a "cute" or "adorable" thing. After TFIOS made it big, I saw comment everywhere like "Awww, now I want to have cancer so I can have a cute love story!" Disgusting. It's not the book's fault in that case, because love obviously didn't cure either Augustus or Hazel, but it just shows what a huge problem it is. Defiantly agree Finding Audrey was a bad representation of anxiety while Fangirl was good. ACOMAF and All the Bright Places were also good. The love cure is the worst! It's been great to see more mental illness representation in YA over the last few years, and I really hope it isn't a trend. I definitely hope it continues. There are so many more mental illnesses people need to hear about, and it would be horrible for people to not hear about ADHD, OCD, bipolar disorder, and others simply because the public got "tired" of hearing about depression. I think a key to making sure this doesn't happen is to insure that books containing mental illness are diverse and interesting, not just all a copy-off of one single book (which is why the dystopian craze fizzled out). alright so can i say amen i love this post. fangirl is the best for anxiety and i did not think finding audrey was about mental illness, i spent the whole books wondering what was wrong with her. I think representation of mental illnesses is really important and as much as I like that authors are talking about depression and anxiety, there are many others and I would love to read a story with character with OCD or ADHD mainly because I know barely anything about living with those ilnesses and it would be really interesting and educational to read. Also, I love the idea of character having mental ilness but the ilness is not the focus of the story it's just part of the character. Also, the "cured by love" element is slightly getting on my nerves. It basically shows that when you have mental ilness, love will magically cure you. So go out, find yourself a man/woman and you're good. Okay, I'm exaggerating a little bit but I want to see more books with mental ilnesses where the character gets through her problem because of the support of her best friend or her family and not because of some guy. Sometimes I even think about whether a person who is going through a tough depression can fall in love when he/she is in such a dark place. I agree exactly! I believe it's the responsibility of authors to educate their readers about a variety of subjects. Thank you for this post. I have anxiety and what Aine said is exactly right. I just get very worried. I sometimes go into a mini panic attack in my mind if I ride a glass elevator. An elevator. I am afraid of heights. I hate seeing the cables and such. It scares me. I have now found some great books to read. One thing I would like to see more in YA is disorders and disabilities, such as epilepsy and autism/Asperger's. I'm so glad you liked it <3 yes, I definitely agree! There are a few kids at my school who have autism and are constantly bullied for it, which I don't think would happen as much if people were more educated about the issue. I am being tested for autism because I have a disorder that is closely related, and I have a friend with Asperger's. Sunset was right. 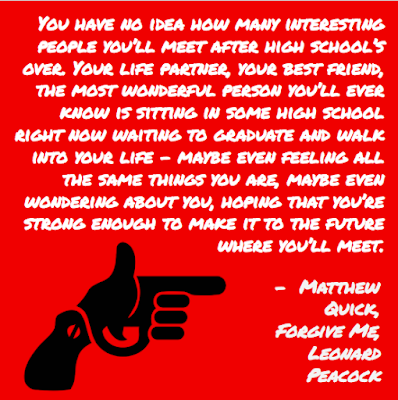 This is an excellent post and so very true. I've worried about it being just a trend too... that it may lead people to believe a rosy outlook of mental illness, thinking that it defines them or makes them interesting. Those who have suffered it or are still suffering through it know exactly how debilitating it can be and we'd hate for the world to see it as just another casual string of words to throw around. Great job with this one. I personally adore All the Bright Places. Another one of my favorites was The Shock of the Fall by Nathan Filer. You should check that one out. 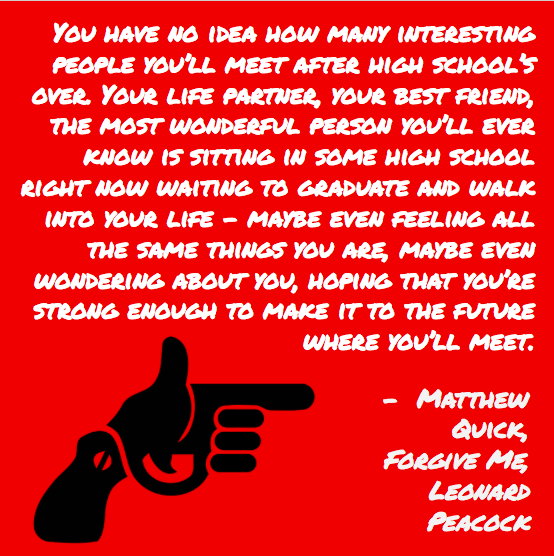 I'd love to know your thoughts on it. I agree - there are many authors who don't romanticize mental illness at all, but the fans do it themselves. That's a very damaging and dangerous thing.